The S7 was the first Donkervoort to ever leave the factory. The car had a 1.6 litre Ford engine and a four-speed gearbox. The front wheel suspension consisted of Triumph parts, the rear axle stemmed from Ford. The S7 was simply sensational for the time, with a top speed that was above a respectable 170 km/h. The successor to the S7 was the S8. The S8 was a better and especially more modern car in many aspects. The front track was larger and the engine in the S7 made way for a 2.0 litre Ford OHC engine with 110 bhp. The S8 was equipped with a 5 speed gear box. A lot of attention was paid to passive safety in both models: they had a double braking system with the possibility to adjust the brake balance at the front and rear, and twin aluminium fuel tanks mounted directly in front of the rear axel. In 1985, the S8A came on the market. The car was sold as a completion to the S8 range which was scheduled to continue until 1989. The car was modernised in many aspects. The chassis was wider and at the same time lighter and fitted with aluminium panels that were glued and attached with blind rivets. A revolutionary method that had never been used before in the automobile industry. Other special features included independent rear wheel suspension and electronic fuel injection. The S8A was also revamped in terms of style. The nose and side fenders were given a more elegant, streamlined shape. The S8A was in production until 1993. The S8AT was introduced to meet the increasing demand for more power. Its engine was exceptional: the Ford engine from the S8A was fitted with a turbo, which increased its output from 117 to 170 bhp. A welcome development since the catalytic converter became obligatory, which lowered the output of the standard Ford engine instead of increasing it. At the same time, the development a ‘new’ engine like that was a considerable undertaking. But it was not just technical changes to the engine that were new. The chassis was widened once again and made remarkably stiffer. The front and rear suspension was replaced and from 1991 on, disk brakes were standard on the rear axle. In 1993 the successor to the S8AT came on the market. Ford introduced the Zetec engine and with it, offered a splendid alternative to the then already old S8AT engine. Despite the fact that the output was not especially high, owing to its significantly lower weight, the Zetec was well known as a fast, but mainly smooth driving car. In 1994, as an addition to the Zetec Classic, the Zetec Sport was introduced. This was the first time that repeated use was made of carbon fibre, which was used to manufacture the extremely light and yet sturdy body parts. In their own factory, that is. The spare wheel that was still prominently present on previous models was left out, the battery was replaced by a smaller model and the cast iron clutch housing made way for an aluminium model. The new nose with modern grill, the equally new scuttle and the curved windscreen all made the car look a lot more modern, just as the adjustable WP shock absorbers and cycle wings that today are the distinguishing mark of Donkervoort. In 1985, Ford and Cosworth introduced a new turbo engine that turned out to be a wonderful power source for Donkervoort, and the D8 Cosworth came into existence. With a top speed of 235 km/h and an acceleration of 0 to 100 km/h in just 4.1 to 4.8 seconds, the Cosworth was extremely fast. In those days there were hardly any faster cars on the market. The output varied from 220 bhp to 280 bhp and more. The D8 Cosworth was a notorious and feared car especially on the track. Driving skills obligatory. Just like the Zetec, the Cosworth was available in two versions. The Cosworth Classic still had the traditional long guards while the Cosworth Sport was fitted with cycle wings. In the late nineties an alternative to the Ford engines was found. Cosworth stopped production of the engine, so a successor had to be sought. Audi made beautiful engines and proved to be very interested in supplying them to Donkervoort. The 1.8T 20V AGU engine made its first appearance in the D8 series. For the first time in the history of the brand a transition was made to a new engine supplier. The Audi engine had a number of major advantages over the engines used in the past. Among other things, the Audi engine was lighter and more compact, and it effortlessly met the strictest emission standards. 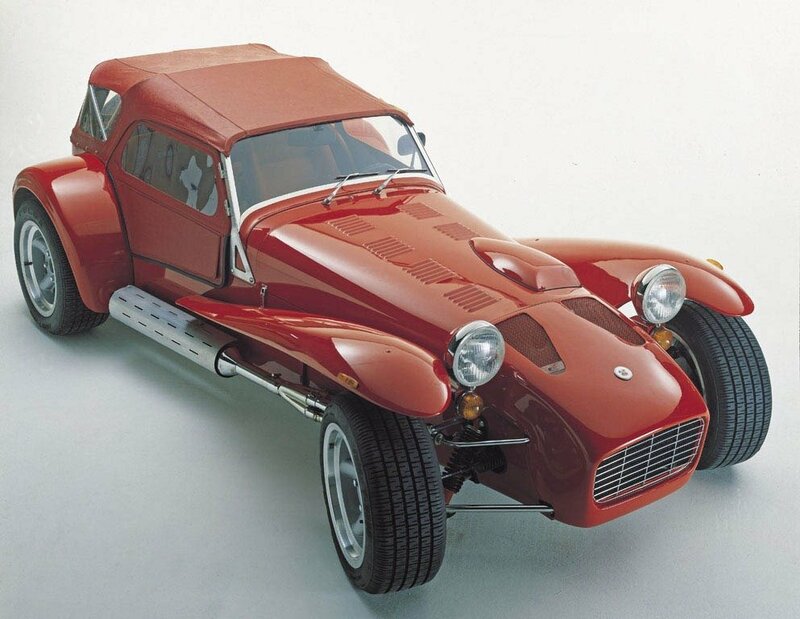 A further significant improvement was that Donkervoort also began producing the chassis in-house in that period. The result, a significantly stronger and stiffer chassis, together with all the other changes, made the D8 Audi a real phenomenon. From 2003, Donkervoort began using the Audi 1.8T 20V E-Gas turbo engine. This engine had been fully proven in terms of reliability, while it also met the new emission standards, primarily due to the electronic throttle control (E-Gas). The compact, lightweight construction of the engine was also important. All these features made this engine superbly suitable for use in a Donkervoort. In the D8 the engine was available with four power ratings: 150 hp, 180 hp, 210 hp and later also 270 hp. Combined with a total weight of just 630 kg, this made the D8 extremely fast. Depending on the type, the 0 to 100 km/h acceleration took from just 3.8 to around 5.2 seconds. The D8 270 RS was a tribute to the prestigious record Donkervoort broke in 2004 and 2005 on the notorious Nordschleife of the famous Nürburgring. This lap record for street-legal cars was long held by a renowned German sports car manufacturer. Donkervoort crushed the old record, bettering it by a whopping 15 seconds (! ), which put the brand in the international spotlight in one fell swoop. The Donkervoort D8 270 RS, named after the D8 RS with which the record was broken, was introduced in a limited series of 25 cars. Several improvements over the 210 hp version were the increased power of 270 hp and a new nose design that could accommodate more and larger coolers. The weight remained virtually unchanged. The D8 270 RS could pride itself on being one of the fastest cars Donkervoort ever built. Acceleration from 0 to 100 km/h took just 3.6 seconds, deceleration from 100 to 0 just 2.4. The D8 270 RS proved to be one of the best creations in Donkervoort’s history, and one of the most desirable: the 25 units were reserved and sold in a few short months. Subsequently, in 2008, the D8 270 became available. It was the top version of the D8 series and a logical successor to the successful D8 270 RS. The D8 270 offered a sensational – and above all fast – driving experience, with a 0-100 km/h acceleration of 3.6 seconds. The D8 270 was fitted with a new nose and grill design that was a direct nod to the D8 GT introduced a year earlier. In 2007 the press and public were introduced to the first hard-top Donkervoort during the Geneva Motor Show – a full-blooded GT with two personalities packaged in an exciting design. On the one hand, there is the purebred high-tech racer, designed from a passion for motor racing and built on the basis of 30 years’ experience on the European tracks. Secondly, the stylish ‘Grand Tourer’ that conjures up the romantic feeling of the fast GTs of yesteryear. The Donkervoort D8 GT combines the best of both worlds in an elegant body, built and finished to perfection with outstanding workmanship by dedicated craftsmen. Compared to the cabrio Donkervoort D8, the technical design of the D8 GT was almost entirely new. In particular, significant changes were made below the surface. The suspension was tweaked to provide even better handling characteristics, the track was widened by a considerable 8 centimetres, larger brakes, specially developed by Italian firm Tarox for maximum deceleration, were fitted, as were 17″ forged aluminium wheels, custom-made for the D8 GT by Japanese specialist Rays Engineering. All these efforts were not in vain: at 650 kg, the Donkervoort D8 GT was the world’s lightest GT. The use of carbon fibre, in particular, contributed greatly: the entire roof, the whole back end, and the doors and fenders were made of this high-tech material. It provided the Donkervoort D8 GT with its unrivalled torsional stiffness and increased passive safety. In subsequent years the D8 GT participated in the FIA GT4 European Cup, where the car finished second in the championship. Donkervoort Racing also took the D8 GT to the 24H of Dubai in 2011 and brought home the victory cup. In December 2011, Donkervoort announced the latest generation of Donkervoorts: the D8 GTO. With a power-to-weight ratio of less than two, it is one of the fastest street-legal cars in the world. Boasting a power rating of 340 to 380 hp and 450 Nm of torque starting at around 1600 rpm. Significantly larger than its predecessors, yet – at around 700 kg – hardly heavier and surprisingly easy to drive. The D8 GTO was hailed by the international automotive press. And even for the most experienced Donkervoort driver, the car is a real thrill. The D8 GTO also obtains the new European Community Small Series Type Approval (ECSSTA), opening up not only the European, but also other foreign markets for Donkervoort. In 2013, the first 25 Premium D8 GTOs are delivered; hereafter, the production of the “regular” D8 GTOs commences in 2014. In 2015 and 2016 resp. the D8 GTO Bilster Berg Edition and the D8 GTO Bare Naked Carbon Edition – limited Special Editions of the GTO – are made additionally. At the beginning of 2016, Donkervoort Automobielen announced the new product range, consisting of the D8 GTO-S, the D8 GTO-RS and the D8 GTO-R. In April of that year, the first D8 GTO-S is delivered to its new owner. The GTO-S (Sport) greatly resembles its predecessor – the D8 GTO. However, the focus with the ‘S’ – in addition to the breathtaking performance – is on even more comfort and ease of use. A true Donkervoort, thus, but further optimised for street use. Perfect for longer tours, weekend getaways and holidays, yet still offering the ultimate sports car experience. The D8 GTO-RS was introduced as a limited edition of 40 units at the end of 2016. Every bit as ambitious as its predecessor, the D8 270 RS, which drew the world’s attention when it set the lap record at the Nürburgring Nordschleife in 2004 and 2006. Completely redesigned both in terms of design and at the technical level. The next generation Donkervoort, the ultimate record breaker. Following the announcement a large number of the available cars were sold in no time – a huge compliment. Many of these buyers expressed interested in ‘special editions’ of this already exceptional series. Donkervoort therefore decided to expand the RS series with a Bare Naked Carbon Edition and a Race Edition. The D8 GTO-RS Bare Naked Carbon Edition was limited to just 15 cars. All the carbon fibre elements of these special edition models is left exposed so the unique, recognisable fibre structure of the material remains fully visible. Just ten of the D8 GTO-RS Race Edition were built. This RS is optimised for track driving, with features that include a (non-street-legal) sequential gearbox and the aforementioned lap time-enhancing track day features. In 1998, the first steps were taken for a joint venture with Audi. Back then, the head of Audi, Peafgen, – currently the big boss at Bentley – personally backed working in partnership with Donkervoort and is the driving force behind the production of the D 20. Audi didn’t just provide engine know-how, but also supported all other developments on this jubilee model. Up to then, all Donkervoorts had the engine and gearbox in the front and the power on the rear wheels. The D20 however was built according to the transaxle principle, in which the engine remained at the front, but the gear box was mostly moved to the real axle; ideal weight distribution and which then resulted in better road holding. The traction also benefited from the wheel suspension with its push rods and a chassis whose stiffness increased by a factor of no less than 6.7. The six cylinder engine used ultimately provided the D20 with 280 bhp. Unfortunately it turned out that the D20 in combination with this Audi engine was not able to meet the every stricter emission requirements and was excluded from type approval. That is why it was decided to further develop the existing D8 model in combination with the sportier 1.8T engines were used at that time for the Audi TT. Under the code name J25, Donkervoort developed – right before its 25 year jubilee – a completely new car. This model went a step further in its styling than its predecessors the S8 and D8. The, for that period, very modern lines and a number of details, such the little doors and nose used, were derived from the D20. 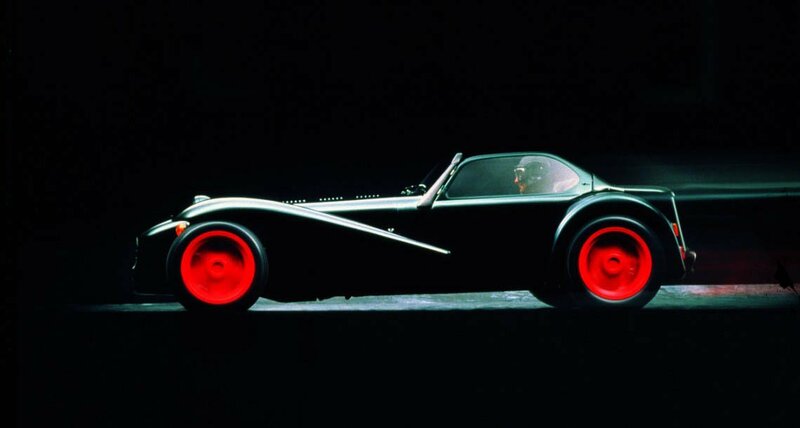 The J25 was also the first Donkervoort to be produced with 270 bhp.